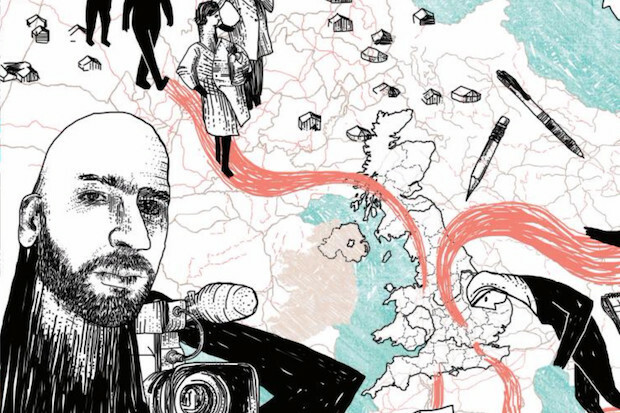 Since launching in March 2016, the Refugee Journalism Project has trained 35 refugees with different backgrounds and levels of reporting experience, to help them get a foot in the door of the UK media industry. Through the London-based project, which is an initiative of the Migrants Resource Centre and the London College of Communication, some of the participants have been able to secure internships, regular freelance work and full-time jobs as researchers and reporters, after being mentored by journalists from UK news organisations. Their articles have been commissioned by outlets such as the Guardian and Thomson Reuters, as well as being re-published by some US titles. "Some of them had tried for a number of years to try and get something in print before coming to the UK without being able to do so. Through the project, the contacts, and developing their confidence, they've been able to get work published," said Vivienne Francis, course leader for the Bachelor of Arts degree in Journalism at the London College of Communication. Abdulwahab Tahhan, one of the participants, now works as a researcher for Airwars, a not-for-profit organisation that monitors the number of civilian casualties from air strikes taking place in Iraq and Syria as part of the war against the so-called Islamic State. Through the project, he started as a volunteer at Airwars, before being offered a part-time researcher position and ultimately, a full-time job. Before coming to the UK, Tahhan was an English teacher back in Syria. Once the war started, he began to help translate materials about the conflict into English to be shared online. He has also worked with journalists as a fixer and translator, volunteered as a researcher with Amnesty International for their Yemen team, and collaborated with a production company in Turkey to make 'The suffering grasses', a 52-minute documentary about refugees in Turkey and Lebanon. "I never really thought I would be a journalist," he told Journalism.co.uk, "but I put myself in that position. "What I enjoyed most from the Refugee Journalism Project were the visits to news organisations and the networking, because they put you in front of either people who are hiring or you get to start building your network for the future. "The project was such a good idea for people to get together and gain their confidence back. Even if you don't get a job out of it, you back the confidence that you might have a chance here, you are put in touch with refugees who share the same career as you, and you can take it from there." Even though the first round of the project has finished, Tahhan said some of the participants will be meeting to "figure out a way forward", pooling their networks and resources together to either continue to pitch to publications or come up with projects they could collaborate on. "If you're here in England, even if you're a refugee here, you wouldn't know other refugees, so having a space where you can meet and discuss really helps and it's very useful to gather people according to their profession or their passion," he added. The organisers are hoping to continue the project and they are currently trying to secure funding for a second round, Francis said. The initiative was originally funded to take on 20 refugee journalists, but the team decided to take on more after being contacted by people from all over the country. Some participants were travelling from cities such as Newcastle or Middlesbrough to attend training workshops and events, and while they were able to have their travel costs funded through the project, the aim is for a future scheme to take more of a network approach in order to serve regions outside of London. "We could have smaller schemes running in regions like the North or the Midlands, so people would be able to network with each other and form a group of journalists who have similar ambitions and aims," she said. "Just going through the asylum and refugee process, some of our participants felt quite isolated and getting them together even though they're from many different countries, they all had something in common – having been journalists or wanting to be journalists, and I think that was incredibly empowering for them." The team wants to continue to support refugees to re-start their careers and get their work published, as well as facilitate links between the participants and established UK journalists. But one of the aims is also to "try to have some impact on the narrative around refugees and asylum-seekers within some of the newspapers and organisations" and find a way to quantify that. For example, some of the participants have published stories with Thomson Reuters which have then been picked up by the Daily Mail or other publications that "wouldn't necessarily associate themselves with the more positive migration stories", Francis said. Another person who took part in the project was invited to share their expertise and contribute to the wider debate around Syria by appearing on the Victoria Derbyshire show. "We are encouraging not only that they get work as journalists in terms of the conventional writing, but they're actually called upon for the expertise they have, whether it's about Afghanistan, or Syria or Sudan. "But also moving forward what's important to us and the project is that talking about refugees and migration is not their only talent as journalists. Journalists can apply their skills, knowledge and experience to a number of different areas. "The fact that they're refugees and they've got that history and experience behind them might well be the thing that gets them into publications but ultimately they're journalists, so that's how we want their careers to develop – that they become recognised not for the stories they can tell about their history but also their journalistic skills."